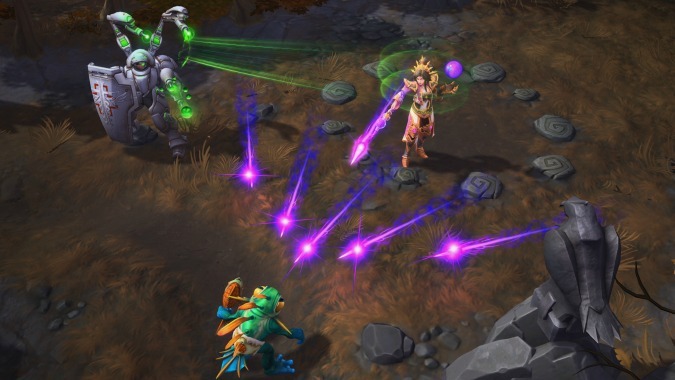 Heroes of the Storm’s latest patch hit the PTR yesterday with a playable Li Ming and numerous balance changes. Nova alone receives a number of changes ranging from damage tweaks to the removal and replacement of many talents, completely changing Nova’s playstyle. If you’re a Nova fan, we highly recommend checking out these patch notes — and maybe giving her a whirl on the PTR. After these changes, she’s hardly the same hero at all. Rehgar also receives a number of changes in this patch, but none that will fundamentally alter his playstyle like Nova. His changes seem largely directed at his damage output and making abilities other than Chain Heal marginally more useful. You may find a curious creature running wild at the start of your games on the PTR, but don’t worry –You’ll learn more about him very soon!